It is officially less then ONE MONTH till Danny and I come home (just for a visit) to Colorado! We get to come home for 2 1/2 weeks starting on August 26th, and it's an understatement to say we can't wait! We will have been out of the best country in the world for over 18 months, so we are due for a Colorado fix. I hope we will get to see many of you at that time, eat lots of great food together, and breathe in a little freedom! The countdown has begun... The Land of the Free, here we come! We were excited to see a little Colorado when we were in Japan. 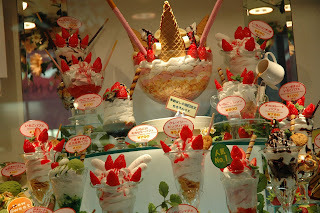 Osaka, Japan ~ A lil' food, a lot o' fashion! Today I was asked the question, "Do you eat to live or live to eat?"... If you know anything about me, or Danny, you would know that it didn't take us a moment to answer that question... WE LIVE TO EAT! 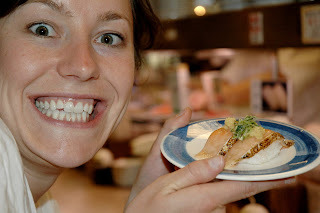 Food is one of my favorite things to enjoy on vacation, and since Japan is home to one of our top favorite foods, sushi, we were pretty excited! 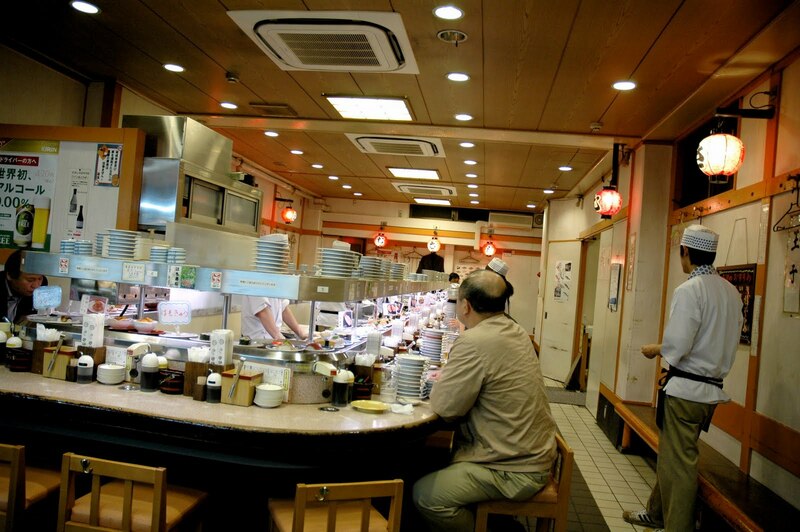 We knew that our first night, we had to go to a sushi bar, and that is what we did. 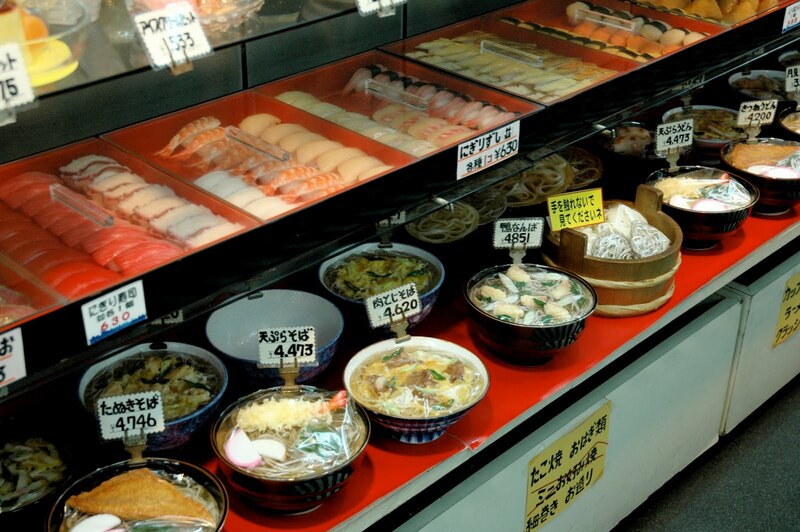 When we walked into this conveyor belt sushi bar, we had basically walked into paradise. 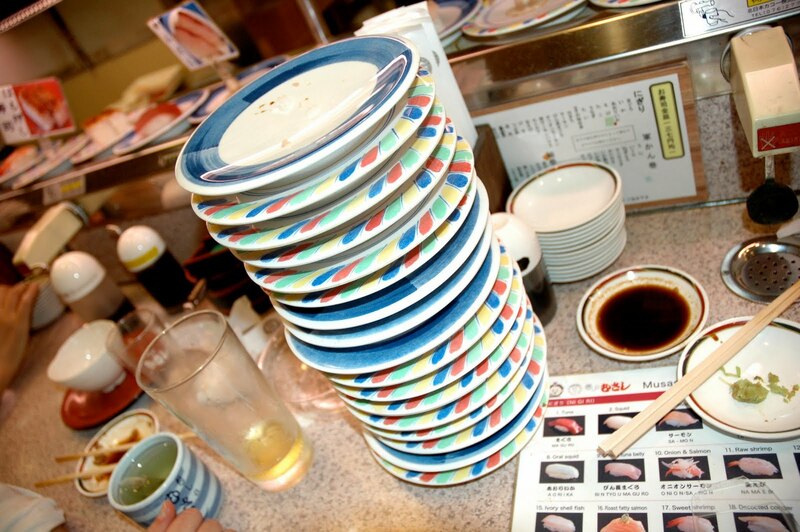 You could eat as much sushi as you wanted, and all you had to do was pay by the plate (18 in total... woop, WOOP)! It wasn't exactly a CHEAP meal, but it wasn't as bad as I expected, and having the first good sushi in almost 1 1/2 years was worth it! Mmmmm...tuna. I surprise a lot of people when I say that Korea doesn't really have good sushi... at all. 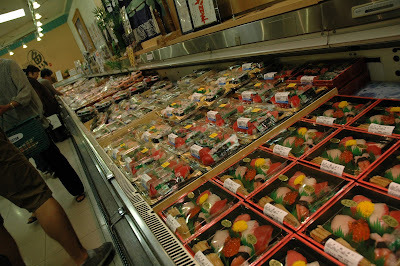 They have a different idea of sushi that what I think of, so as we walked through a Japanese grocery store and saw it filled with different sashimi and sushi rolls, we shed a tear of joy. Look at all that sushi! It's glorious! 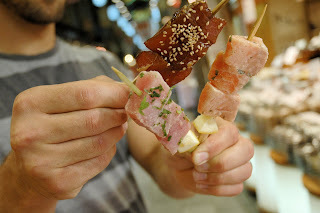 You could also buy AMAZING salmon and ahi tuna on a stick in the outdoor markets. Basically if I lived in Korea the mercury level in my body would be ridiculous because I would consume an insane amount of tuna! Now, you may have gotten that Danny and I LOVE sushi, so you can understand why I might think that nothing could combat with it. Oh, how I was wrong, my friends, soooo wrong. Some friends who went to Japan before us suggested that we eat ramen while we were there, and at first I wasn't too convinced. 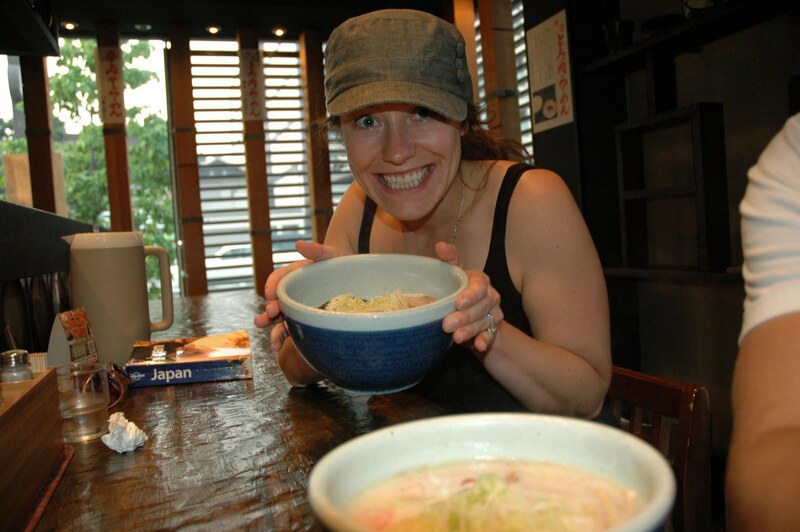 I mean, it's ramen... how good can it really be? 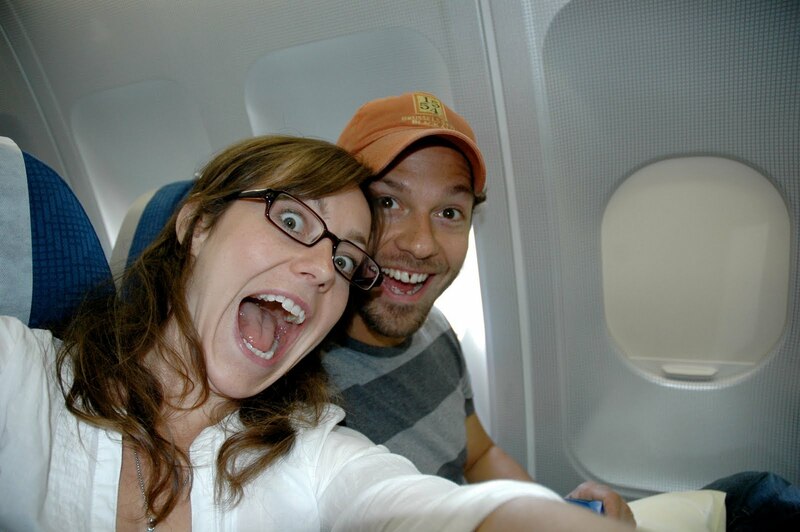 Nevertheless, Danny and I tried it and we are glad we did. Actually the words I'm really looking for are: OH MY GOODNESS, THIS RAMEN IS SO GOOD IT COULD LITERALLY CHANGE YOUR LIFE! It is a bowl of pure heaven, my friends, and if you know what is good for you, you will go out and find a Japanese ramen restuarant and get ready to be floored. 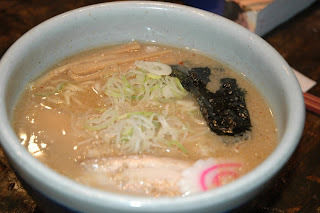 It is a rich pork broth with fresh ramen noodles, seaweed, scallions, and the best part are peices of roasted pork put on top. It completely changed my view of what ramen could be... let's just say this ain't no Cup o' Noodles. 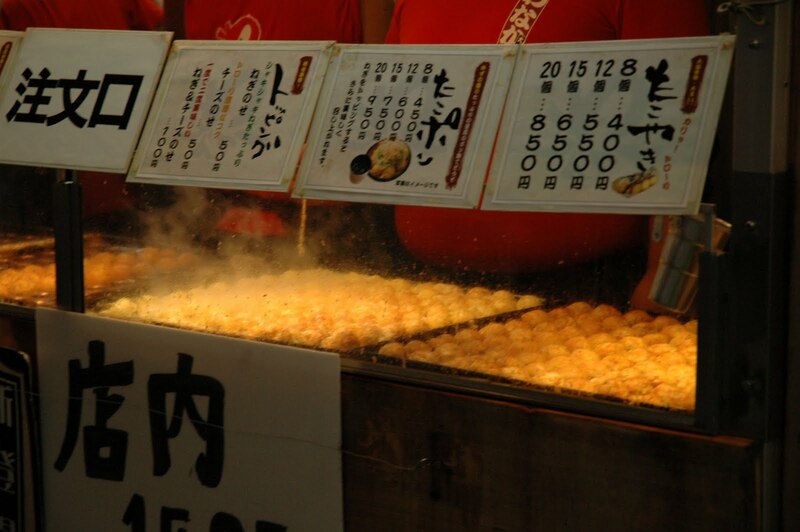 Another food that we were told we had to try is called Takoyaki, or squid balls. These are these bread things that are cooked in a little bowl so it looks like a ball at the end. Squid is still not my thing, but these were pretty good! 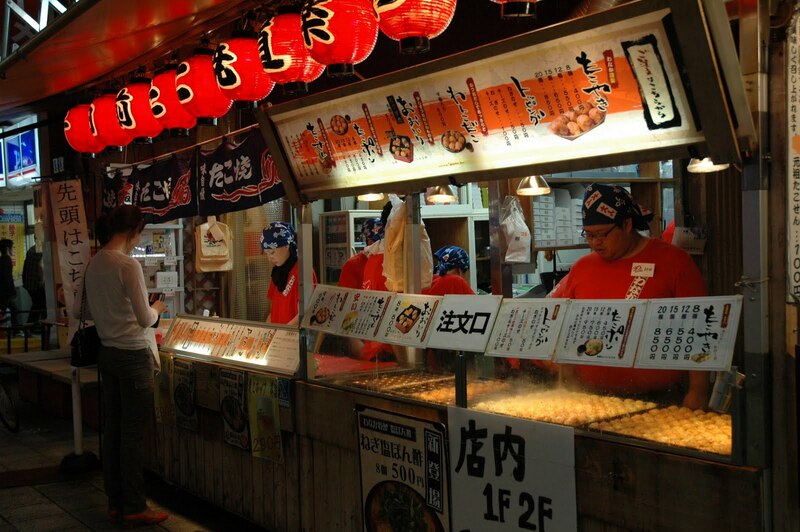 They kinda tasted like a ball filled with cream of chicken soup so if you are in Osaka, because they are famous for them, go ahead and get some Takoyaki! One thing I noticed about Japanese restuarants, was that most of them have displays in their front windows of the food they serve. It's pretty smart actually... you don't have to guess what you are getting or go by a picture, like in America, you can just eat with your eyes first. Lastly, of course I had to show you one of the strangest things we found. Asians have a different definition of "normal flavors" when it comes to their snack foods. In my mind only chocolate Kit Kat's exist in this world, but the Japanese have a bunch of different flavors you wouldn't have imagined. 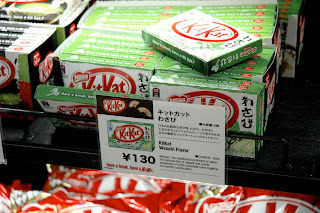 We found wasabi flavor, cherry blossom, and green tea, but I have heard that they also have flavors like soy sauce, buttered corn, baked potatoe, and creme brulee! (You can read more about them here. ) I just keep thinking my brother-in-law, Robb, would be in heaven here in Asia since he loves to try new flavors of things. I guess the closest Americans get to "crazy flavors" is Jelly Belly's buttered popcorn flavor... I think we really need to step it up! Danny and I were caught by surprise by the fashion in Japan. Korean fashion has a "group" mentality... girls wear 80's style baggy shirts and mini skirts, and men wear polo shirts a capri-type pants. Now that is a generalization, so of course it's not everybody, but it sure feels like everybody! 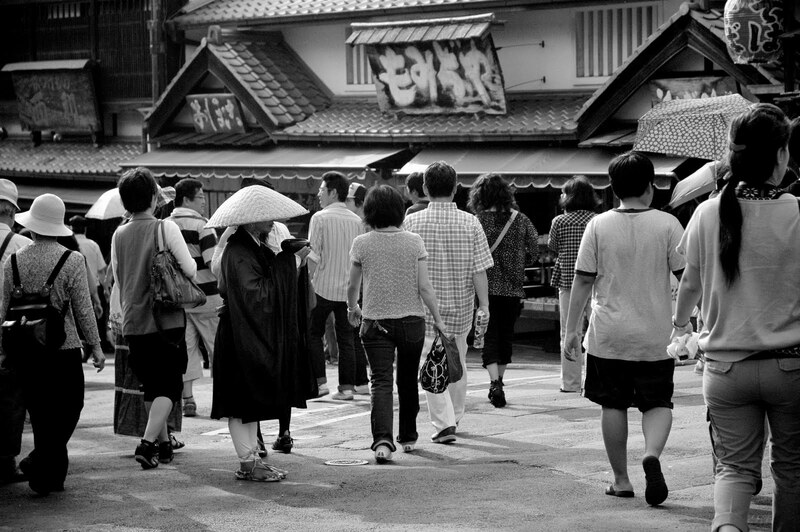 So since we see the same fashion all the time, we loved how individualistic the Japanese are when it comes to fashion. We saw a rocker style, a lingerie style, a European style, a trendy style, of course a Japanese traditional style, and what I thought was most interesting: a "human doll" style. 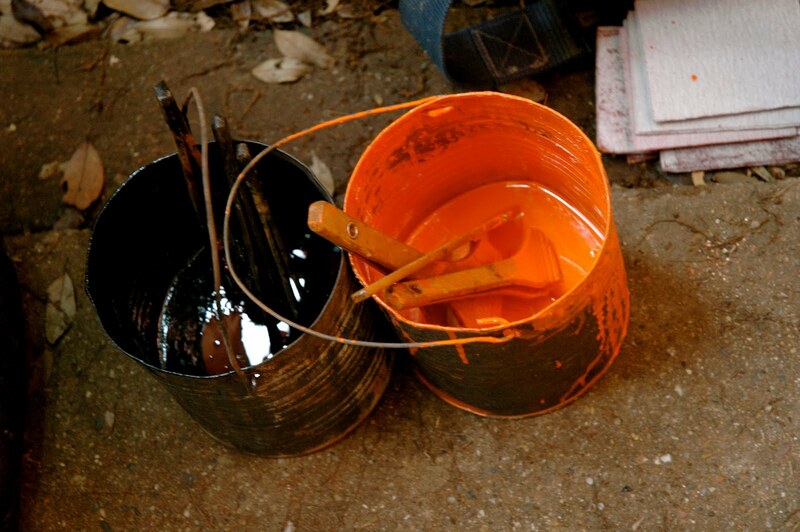 Wow that's a lot of color! Here we have "French Chic" and "80's Chic"... can you imagine how long it takes to get your hair to look that perfect? Even the accessories are intense. 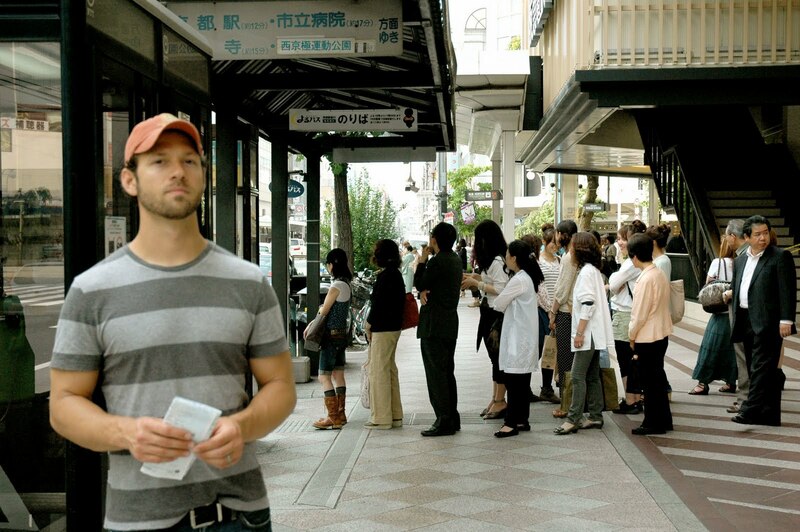 Danny and I spent a lot of time people watching in Osaka, and now that you've seen some of the fashion, you can see why! 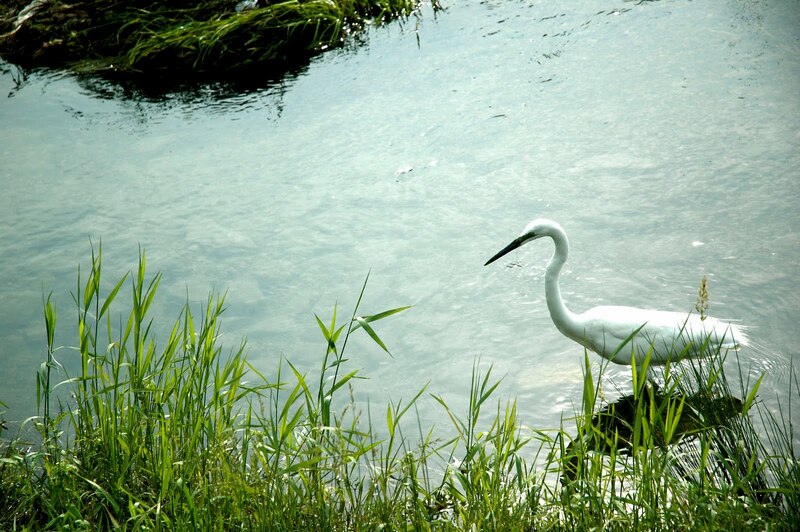 We sat for a while in a part of Osaka called "Americamura". Which is the "American" section of Osaka. It was basically just a place where all the unique music, fashion, and specialty store converge into one area. 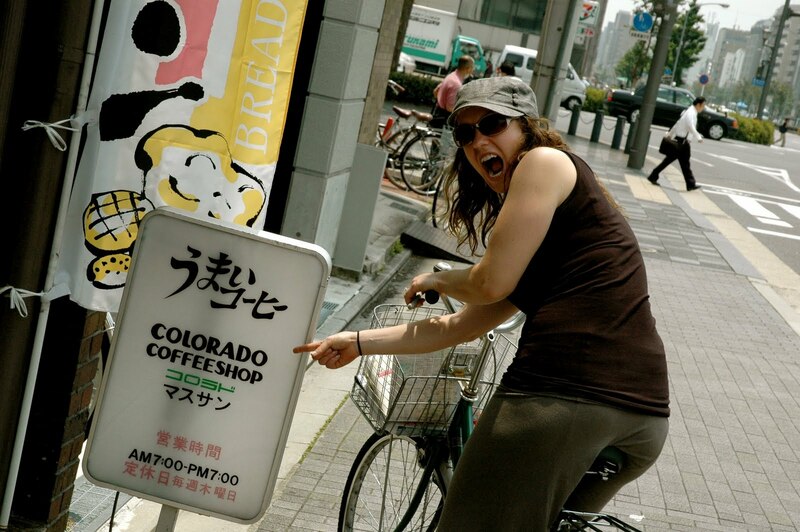 The guide book said that it was a place where Japanese hipsters could live their "American dream"... yeah buddy! We have been out of America for so long "Americamura" was as close as we could get, but now I'm curious if the fashion will be as interesting to me once we finally go back. 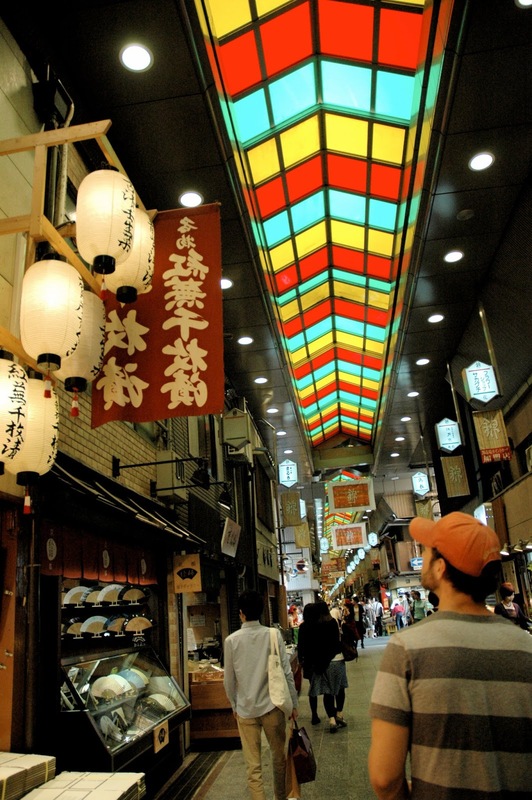 Either way, Japan is a GREAT place for a lot of things, but the food and the fashion, in my opinion, top them all! 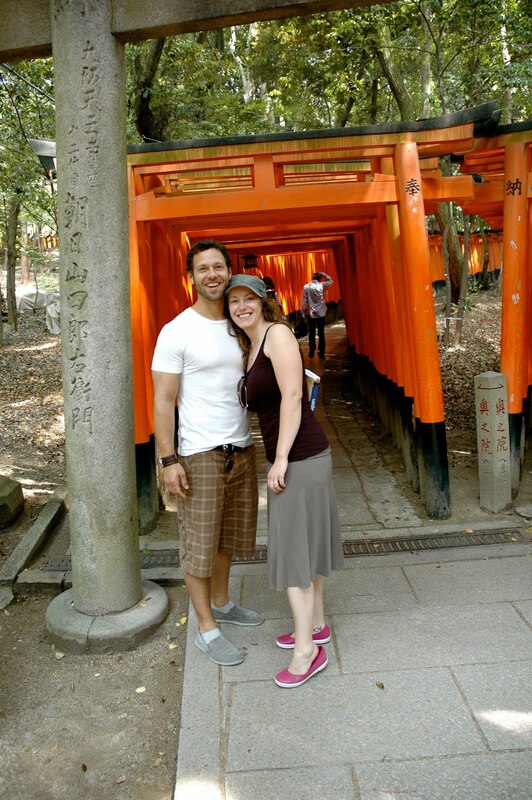 Danny and I started our Japanese adventure in Kyoto, which is the "cultural" mecca of Japan. 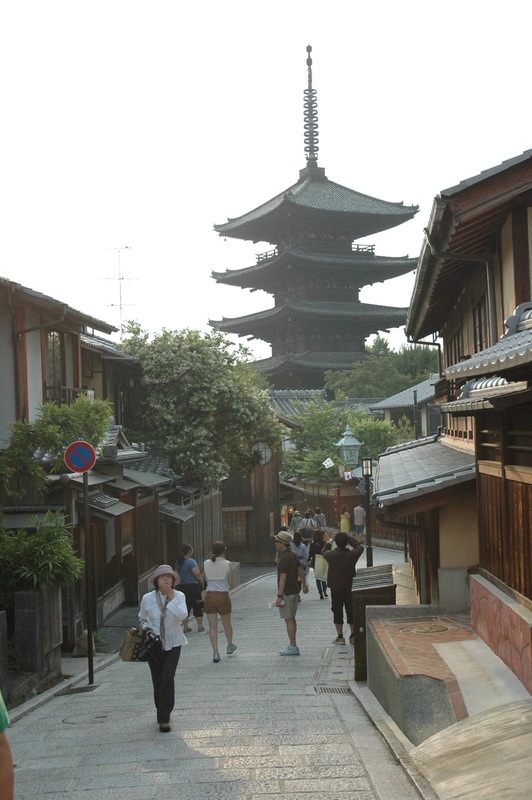 It is such a beautiful city filled with mysterious looking tea houses, quaint cobblestone streets, ﻿and tons of great food! 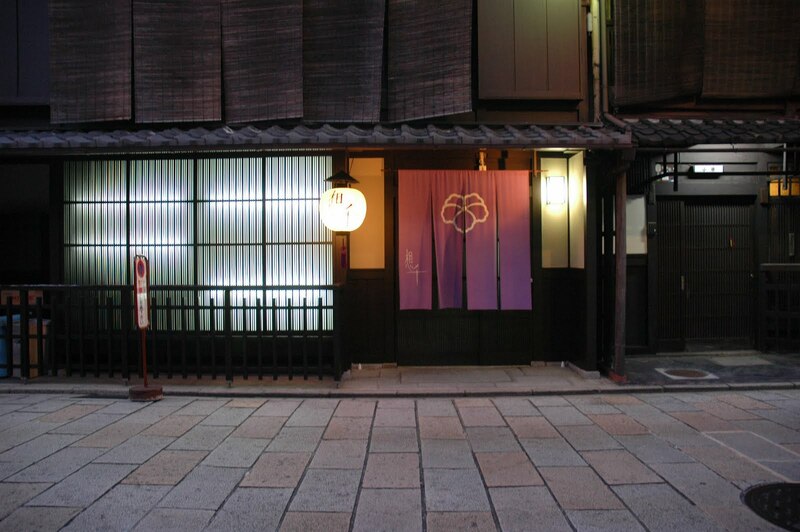 It is also one of the places that you can go to see geisha's, and as Danny liked to call it, I was on a "Geisha Hunt" the whole time we were there. 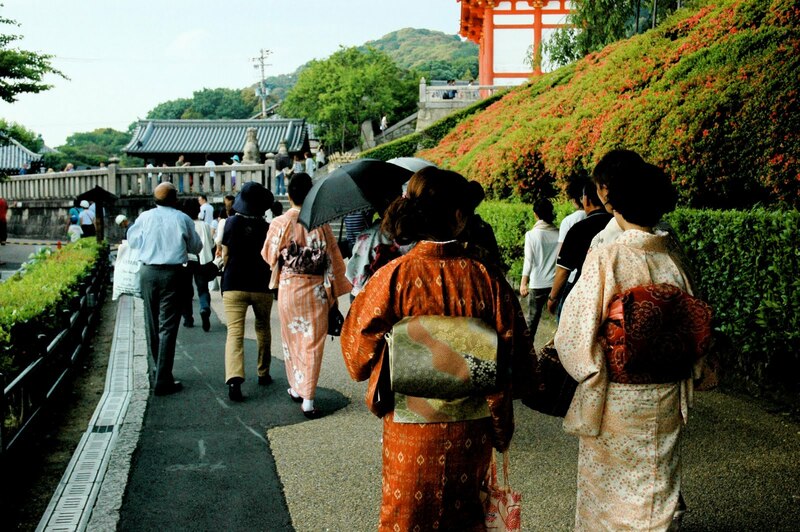 I saw a lot of japanese women in kimonos, but I only saw ONE geisha as she got into the taxi. I was pretty excited to see her with the painted white face and red lips and I was just amazed that is still apart of their culture... apparently there is less than 1,000 geisha's left in all of Japan and they can be paid up to $3,000 for a night of singing and dancing! 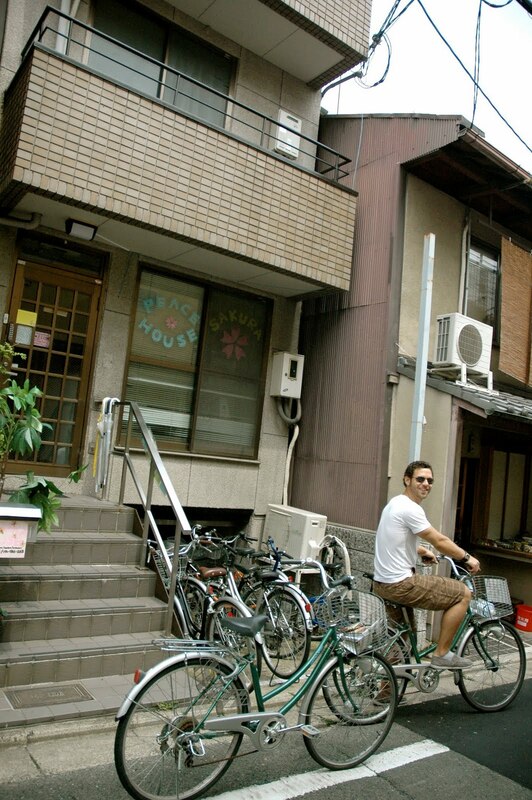 Danny and I loved Kyoto because you could easily get around it by bicycle, and thanks to our awesome hostel, Sakura House, we rented bikes for the day for only about $10. 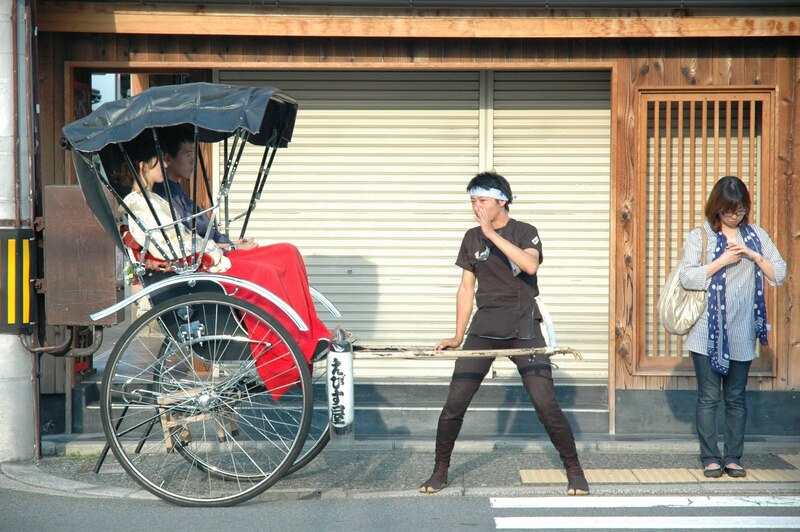 Kyoto has lots to see by bicycle. 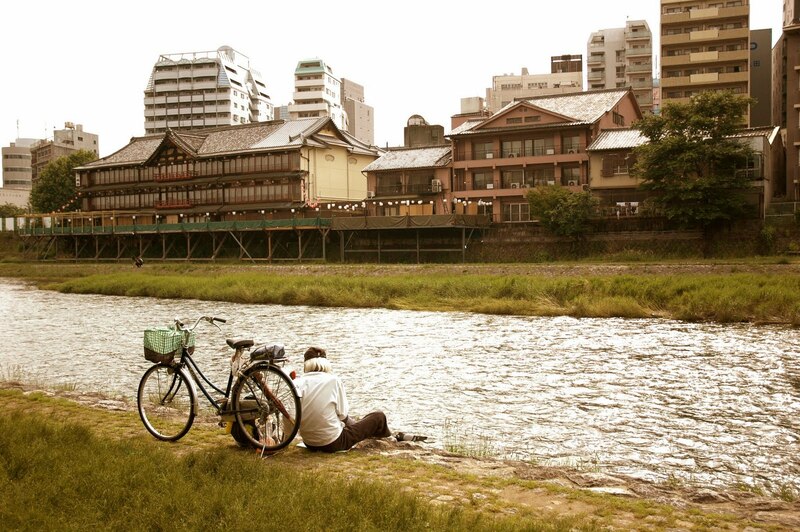 We started our trip riding by the river that runs through Kyoto. All along the river there are beautiful restuarants that are bustling at night, and people are everywhere exercising and enjoying the outdoors during the day. Man feeding the ducks along the river. 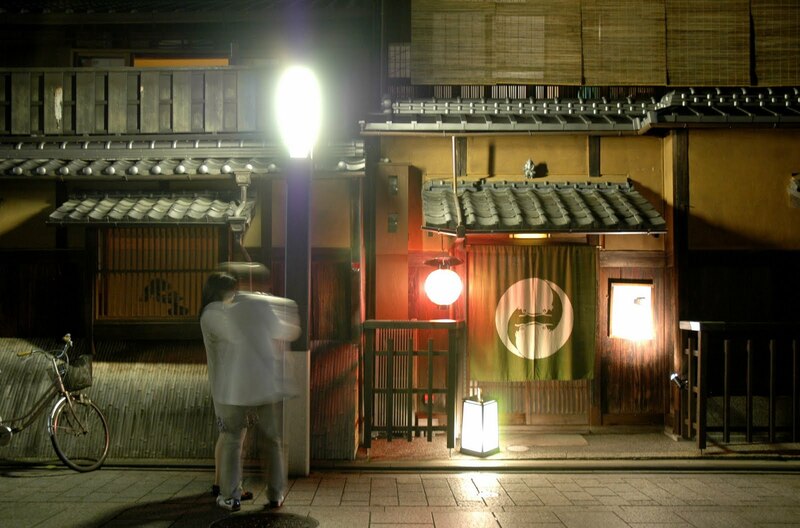 This scene seems very "Japan" to me. 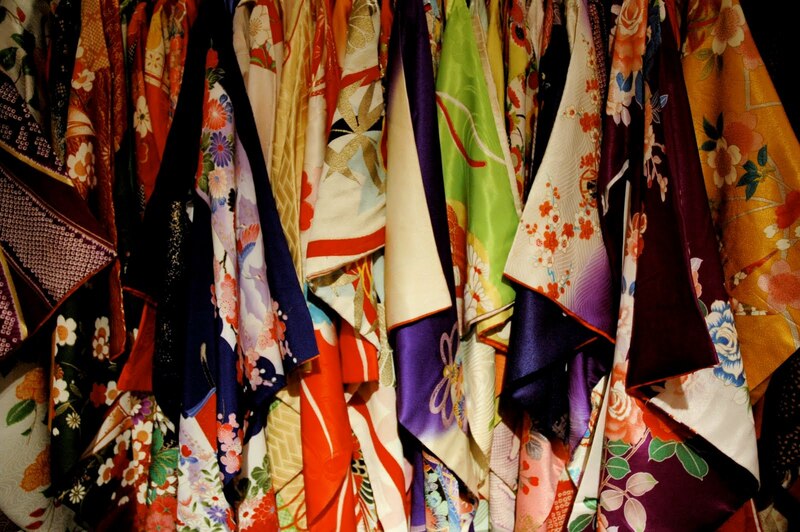 I loved all the different fabrics at a kimono store. One sight we saw while we were downtown that we were shocked to see was that people actually lined up for the bus in Japan. 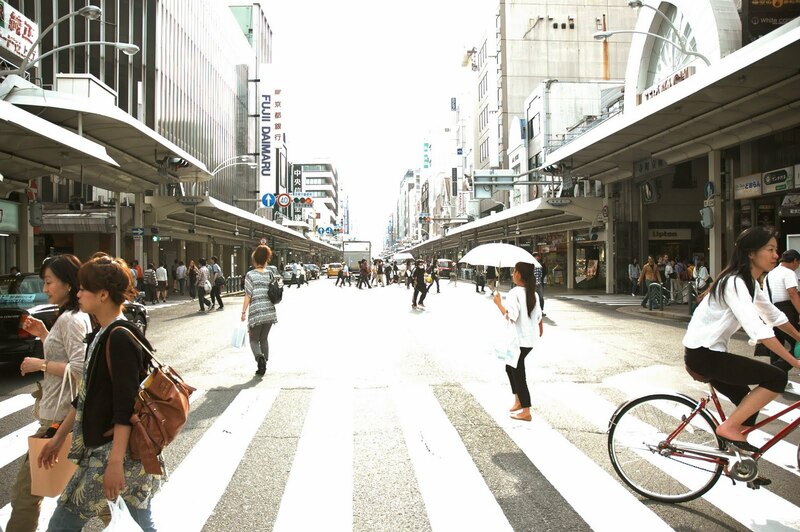 Koreans sort of go for the mob/group mentality and push their way into a bus or subway, but the Japanese have more of a refined way about it. 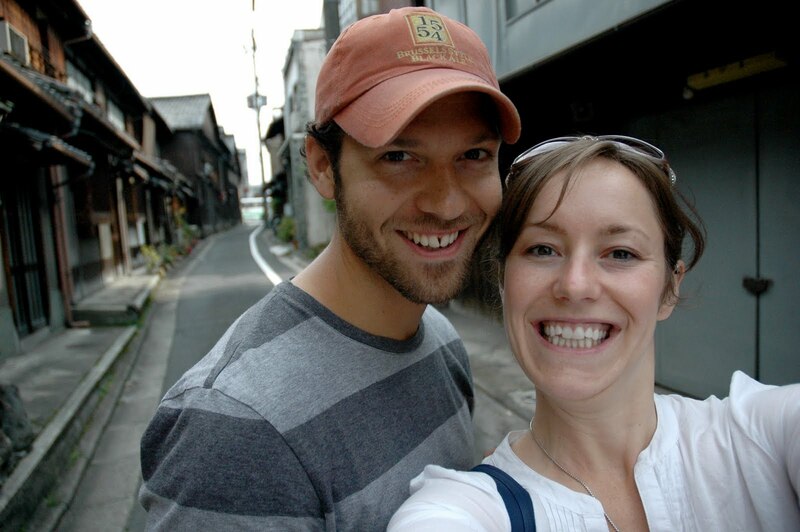 I think that going to Japan would be interesting for anyone, but Danny and I especially enjoyed comparing how different Asian cultures can be coming from Korea. I thought that Asia was all pretty similar when I was younger, but I am now seeing how each country is unique in their own way. 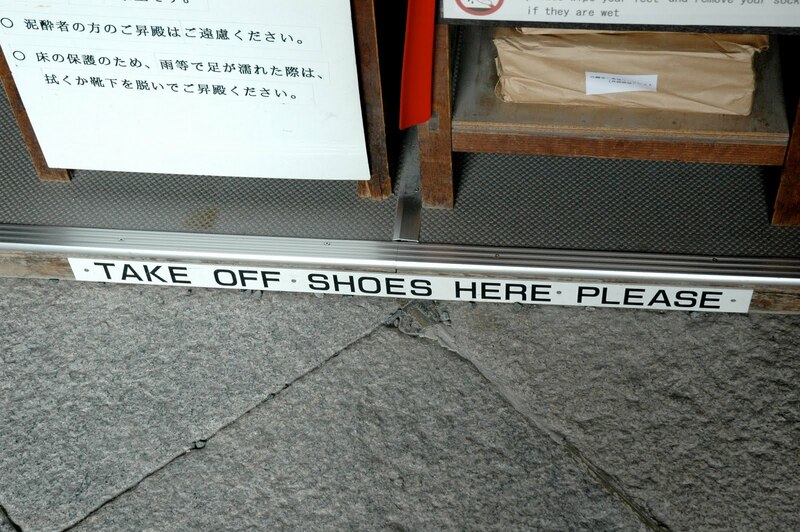 I have gotten used to taking off my shoes wherever I go in Korea, and the Japanese also go by the same rule of thumb. 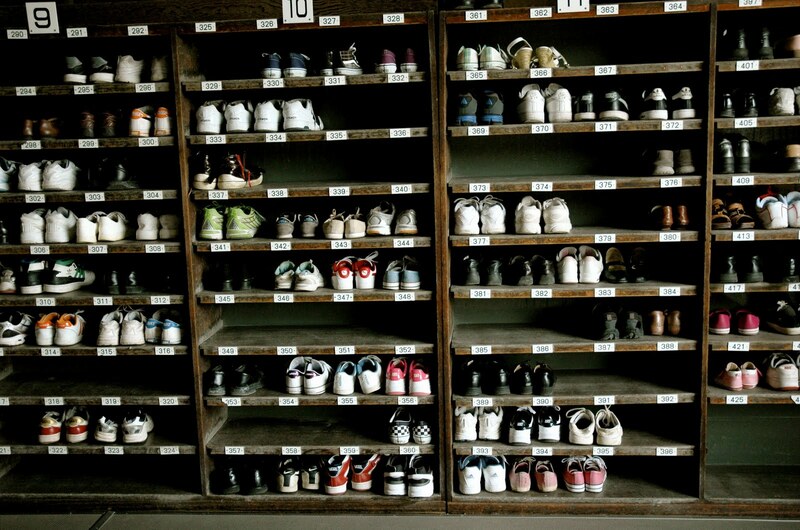 Thankfully they are again a little more organized and have everyone remember where their shoes are by number! 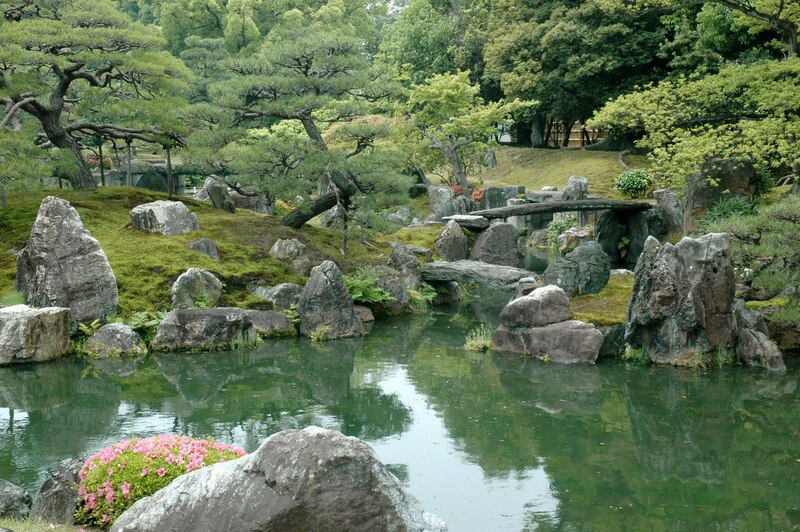 The grounds of Nijo Castle were especially beautiful and were exactly as I would imagine a Japanese garden to be! 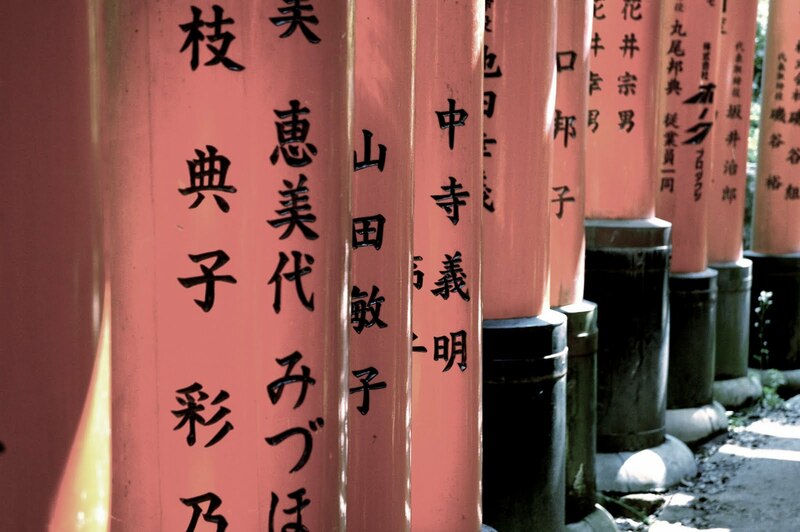 Probably my favorite thing that we saw during our time in Kyoto was seeing the Fushimi Inari Shrine just outside of main Kyoto. 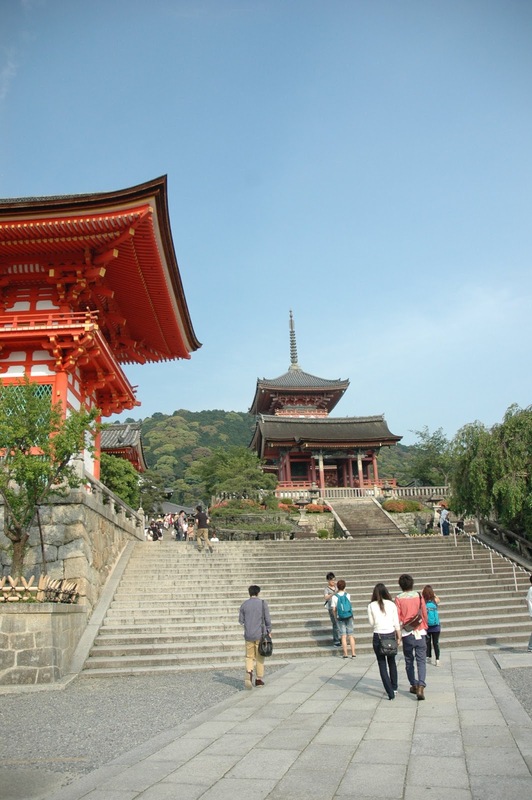 This shrine is one of the most famous sites in Japan and it is really amazing to see. 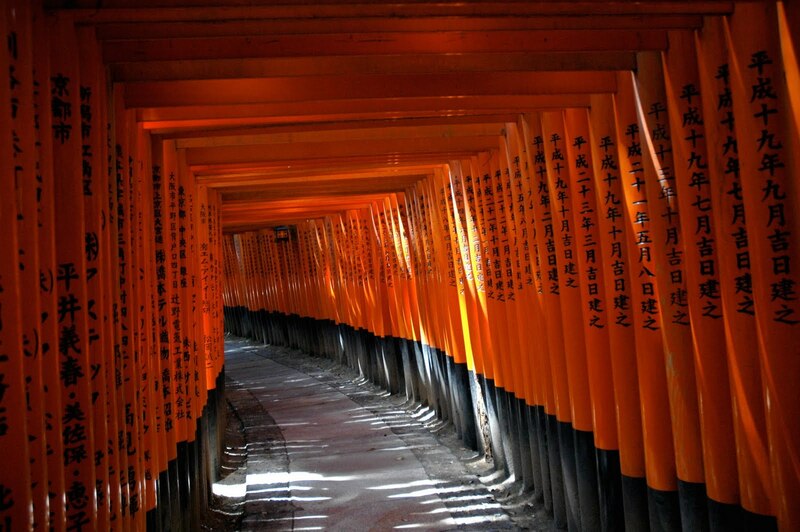 This shrine is filled with thousands of orange gates that you walk through, and the colors in contrast to the beautiful forest around is just awesome. You can tell that there are some older and more faded gates as you walk through, so I was amazed to see a man who was painting some of them. Being that there are thousands of these gates, I imagine that your job might never be finished, but at least it's simple with only two colors! 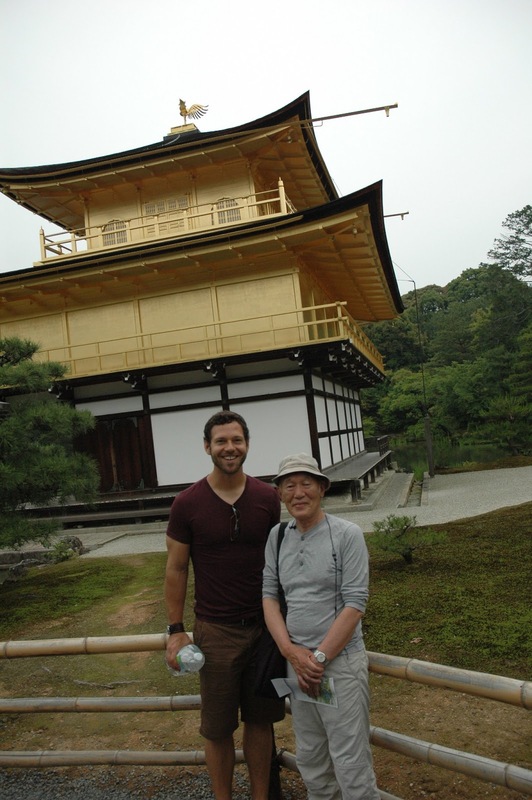 Another place that Danny and I really enjoyed was the Kiomizudera Temple. This temple was only about 5 minutes from our hostel, and had a great view of the whole city. 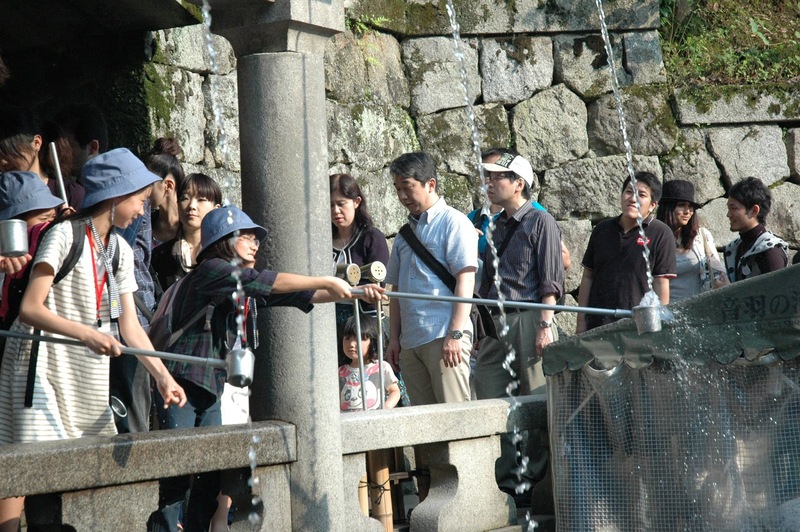 People fetching water from a temple fountain. A monk asking for donations. 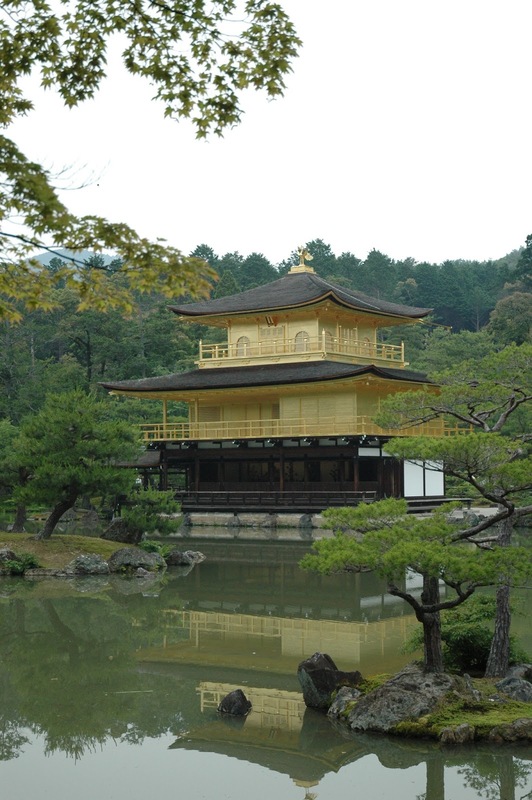 One of the last highlights of our time in Kyoto was the Golden Pavilion... a Japanese temple covered in 14K gold. Although the pavillion was really cool to see, the reason it was great was meeting Mr. Kobayashi. Danny and I were riding the bus to the Golden Pavillion when a old Japanese guy got on the bus and sat behind us. He started up a conversation with us, and then after a little while, he asked if he could join us on our sight seeing tour. 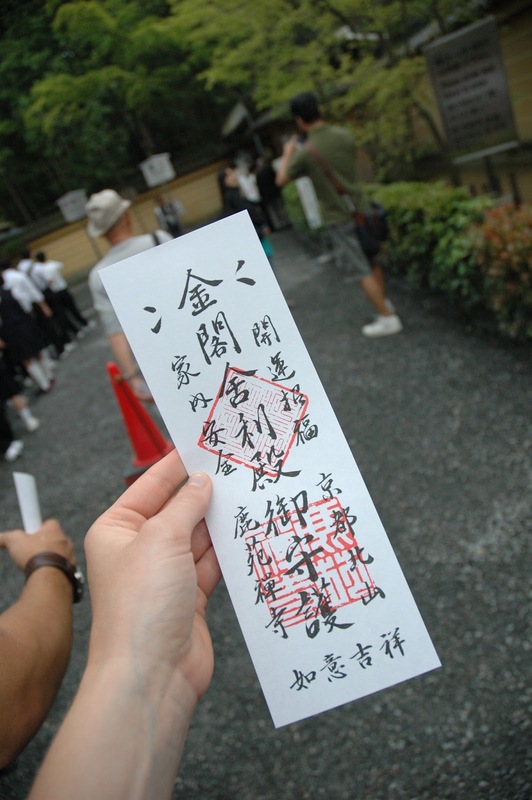 Even the entrance tickets are beautiful in Japan! Danny and I accepted were laughing about the situation that we find ourselves in. We wondered what Mr. Kobayashi's plans were for that day, or if he always just rides around on buses hoping to meet foreigners to tag along with : ) He ended up being a really great guy to talk to... we learned asked him all kinds of questions about Japanese culture and history, and even though we offered to pay for his ticket because he was our "tour guide", he ended up being the one who bought us tickets, got us a Japanese souvenir, and took us out to coffee afterwards! He was such a nice guy, and really made me realize how connected we all are if we just reach out to people. Mr. Kobayashi said that when he came to America, people were so nice to him that he just wanted to return the favor in a way, so I only hope that I can meet a Japanese tourist on the streets of Colorado and show them the same kindness! 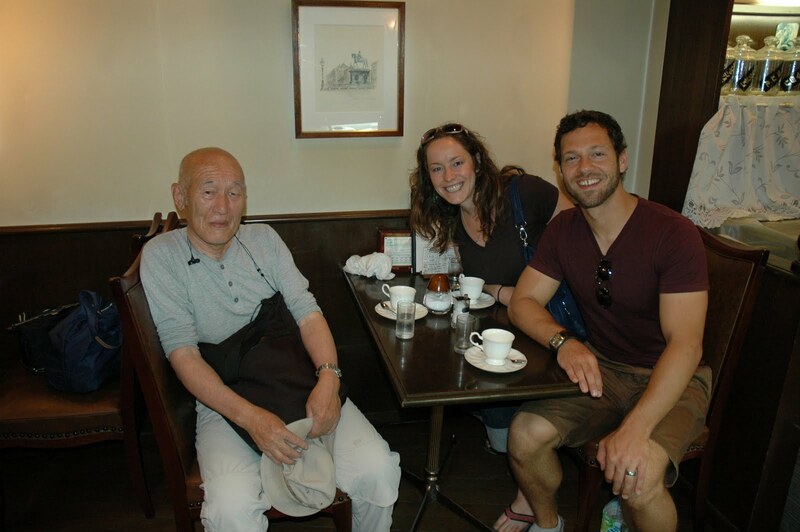 Danny and I having coffe with Mr. Kobayashi. 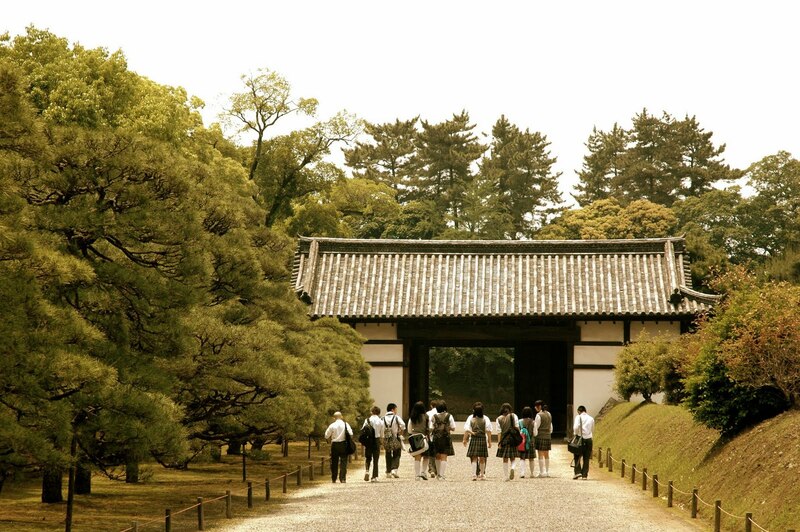 Overall, Kyoto was a fantastic place to visit and now one of my favorite Asian cities. Women walking around in beautiful kimonos, people drinking tea, and the sun setting over the ancient temple really made us feel like we got to experience Japan and we loved every minute of it! In the next post, I will tell you more about things we loved about Japan in our time in Osaka, especially the fashion, so stay tuned!